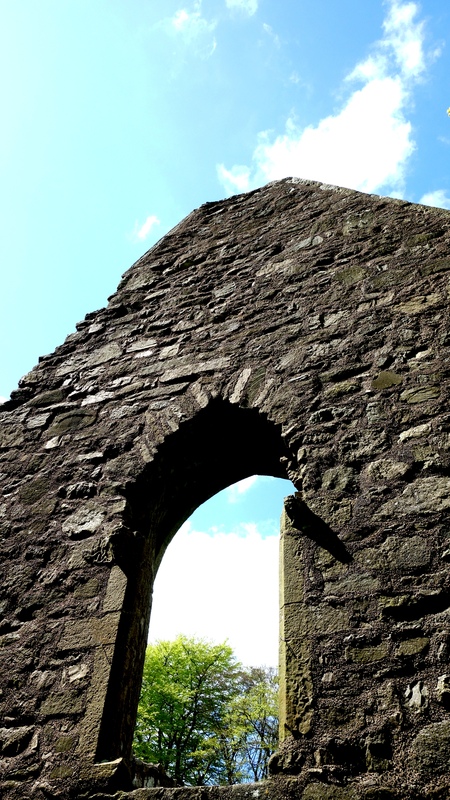 The important early convent of Killevy was founded towards the end of the 5th century by St Moninna, also known as Darerca or Bline. It remained a house of nuns for almost 1000 years. 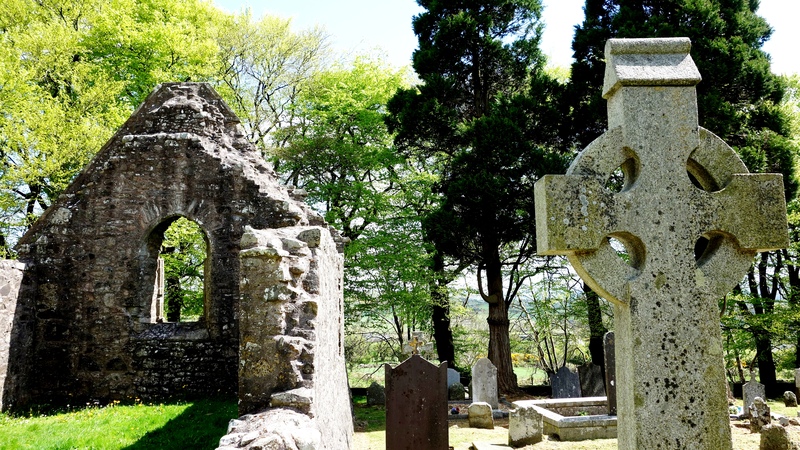 In 923 the place was plundered by Vikings from Carlingford Lough and in 1146 many people were killed by a great wind that caused damage all over the north. The very long narrow ‘church’ you see below is in fact two churches which have been joined together. The west churches massive lintelled door dates from the 10th century. 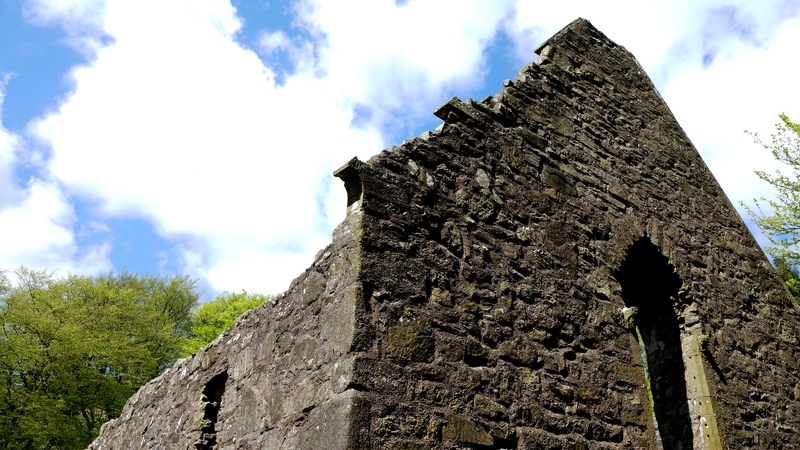 Monastic life continued at Killevy into the Middle Ages, with the foundation of an Augustinian convent, probably in the late 12th century. There are frequent references in medieval documents, several of them reflecting increasing tensions between church and lay power. 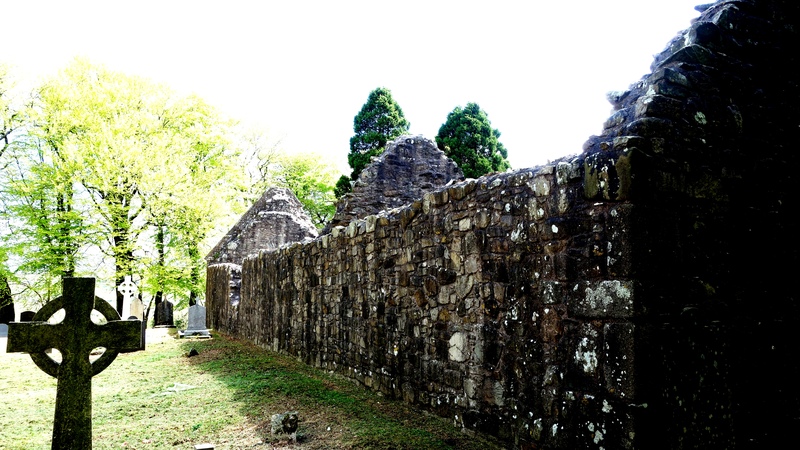 The joined churches at Killevy. The most notable architectural feature is the steeply-pitched east gable, complete with fine coping stones and large window opening. Although many of the cut stones have been removed, if you look closely you can see the small bar holes in the jambs, the fact that they are mismatched showing that the window was once divided by a central mullion. There are also carved heads, both crowned, either side of the window on the outside. The south wall contains the remains of two rectangular window openings and a small wall cupboard, probably used to hold sacred vessels during worship. There are no windows in the north wall, but towards the east end is a curious lintelled doorway, perhaps intended to echo the west door in the adjacent earlier church but clumsy and unskilled by comparison. 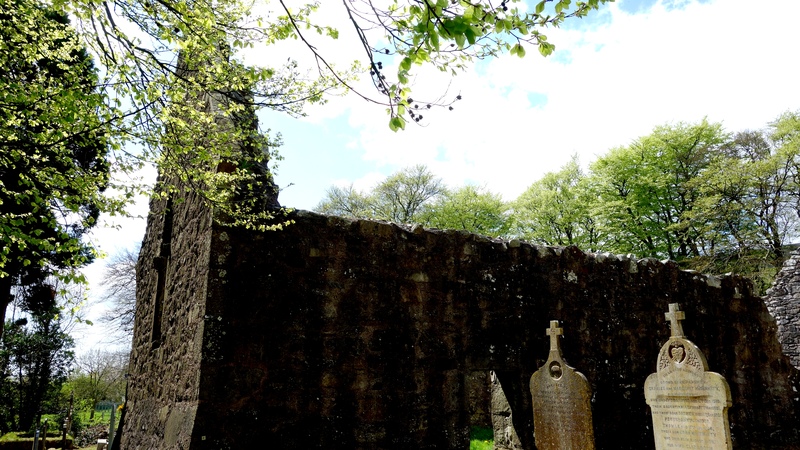 It may have led out to domestic buildings, including the house of the abbess where Cunisburgh resigned in 1477, but no trace survives and the area is covered by burials. 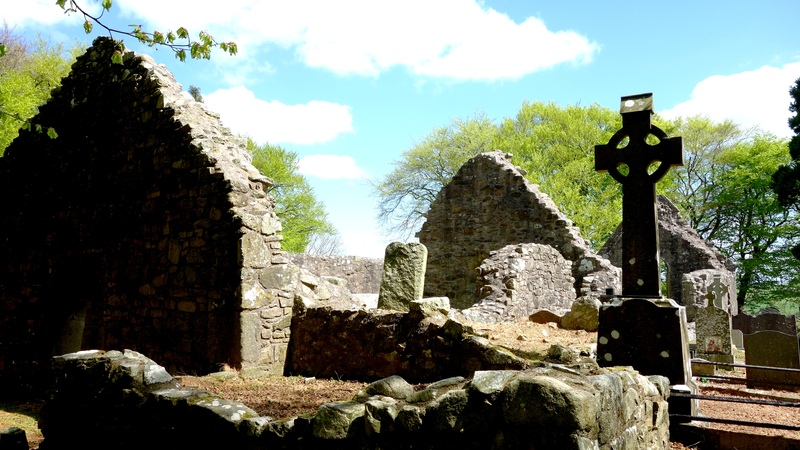 Several cut and worked stones can be identified in the space between the two churches, including a large granite slab with a cross in low relief, probably originally used as a grave marker or cover and possibly dating from the 12th or 13th centuries.